The Bay Area Rainbow Symphony performed their season opening concert Saturday, Sept. 15, 2012 at the San Francisco Conservatory of Music. Photo by Melissa Burman. 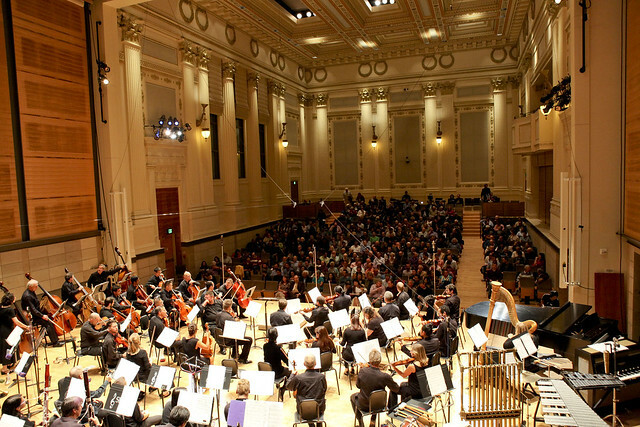 With tinkling percussion and sure strokes of their bows, the Bay Area Rainbow Symphony filled the San Francisco Conservatory of Music with the beginnings of its 2012-13 season. Reunions abounded at the BARS season opening concert Sept. 15. For the first time since the symphony’s humble beginnings in 2008, Cyrus Ginwala, SF State professor and orchestra director, returned to the group as a guest conductor. While the symphony has grown, its mission to reclaim LGBTQ history through music has remained pivotal to the organization. Through the performance of Maurice Ravel’s Piano Concerto in G, the BARS acknowledged Ravel as a prominent gay composer in classical music. “Ravel was not known to be gay or straight when he was alive, but there’s a lot of evidence to suggest that he was gay, and it’s only within the last 10 years that scholars have sort of come to claim him that way,” Ginwala said. Mark Saccomano (left), the BARS percussion section leader, rehearses with SF State alumna Beth Wiesendanger (right) before the season opening performance Saturday, September 15, 2012. Photo by Melissa Burman. The Ravel piece also had the effect of reuniting Ginwala with pianist Marc Peloquin, who he had not performed with since the 1980s. Peloquin remarks that the BARS is a celebration of community and a chance to highlight the diversity of artistic talent and interest within the LGBTQ community. Bookending the Ravel concerto, the BARS performed “Blue Cathedral” by contemporary composer Jennifer Higdon and Symphony No. 2, a staple in classical repertoire by Johannes Brahms. Violinist Drew Cranfill, a music student at SF State, said that Brahms was a “must play,” but the Higdon piece provided an important educational opportunity as well. As BARS strives to perform eclectic combinations of recognizable masterpieces and emerging ones like Higdon’s, the musicians and audiences have a lot to look forward to. While there will certainly be more exciting contemporary pieces performed throughout the season, Saccomano said the symphony will also perform such unmistakable classics as Beethoven’s Symphony No. 5. There is truly something for everyone in a BARS performance, from classical connoisseurs to fans of art music to LGBTQ activists. 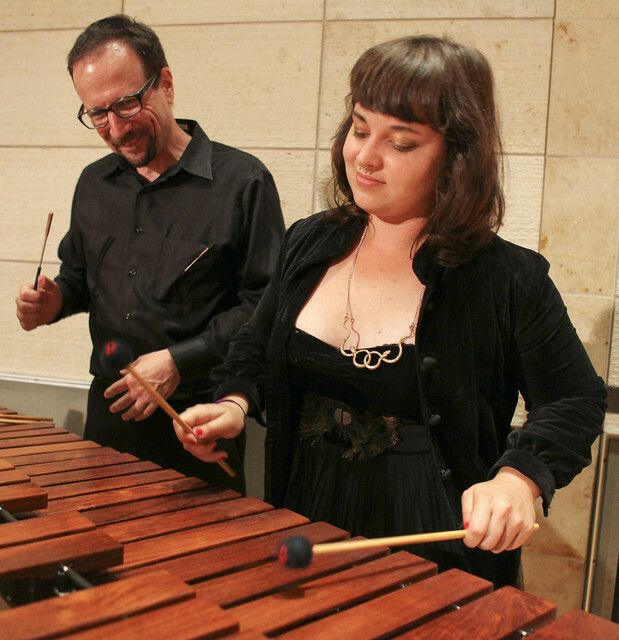 Beth Wiesendanger, political activist by day and BARS percussionist by night, has found the perfect niche in this organization. BARS will perform again Nov. 10 at Calvary Presbyterian Church with Christian Baldini as guest conductor.